We all know how important it is to get a good night’s sleep. And we all know how awful it can be to try to get that good night’s sleep on a bad mattress. Beyond a bad night, sleeping on the wrong mattress can give you a bad day too – an achy, grumpy, out-of-alignment day. To avoid the bad-sleep blues, you have to make sure you’re on the right mattress… but most people get overwhelmed trying to figure out how to choose a mattress. Today’s mattresses are made to last for years, but you shouldn’t depend on them to last forever. Reevaluate your mattress (and your level of restedness) every 10 to 15 years or less. So many options, so little time… how can you be sure you’re getting the right mattress? For starters, you can consult this comprehensive mattress buying guide! A too-hard mattress will push on your pressure points; a too-soft mattress won’t support your body properly. A medium-to-firm mattress has been proven to be most effective at reducing back pain, according to a study by researchers in Spain. 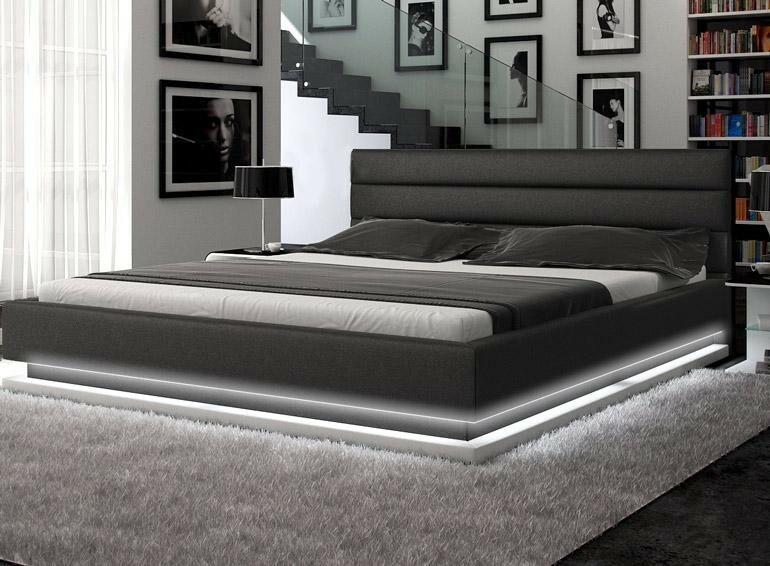 There are different types of mattresses to suit every body type and preference while providing the proper support. The most common type of mattress, an innerspring mattress has coiled springs inside of it for support. These mattresses have evolved over time (each spring is now individually enclosed, so no cartoonish “spring popping out the bed” on most models) and are topped with a variety of materials – foam, latex, pillow-top, or even air – to meet every person’s preferences. AKA memory foam and the brand name Tempur-Pedic, foam mattresses are made of layers of foam that conform to the curves of your body. These mattresses support your body as you move during sleep and absorb movement, so you’re less likely to be disturbed by a restless partner. On the downside: many users report feeling uncomfortably hot because the mattress is temperature-sensitive; some mattresses emit an unpleasant smell; and they’re often pricey (if the cost is an issue, try for a foam mattress topper on an innerspring mattress for a similar effect). Not inflatable mattresses; these are more commonly known by the trademarked “Sleep Number” moniker. These mattresses are similar to innerspring mattresses but have replaced the springs with air-filled chambers that can be adjusted according to your firmness preferences. Many can even be adjusted to different levels of firmness on each side, perfect for partners who can’t agree on a mattress. Like air mattresses, water beds support sleepers with water-filled chambers. It’s not the most popular option due to potential leakage, sloshing, impracticality, and the hippie association, but it can be a great choice for allergy and/or back pain sufferers. 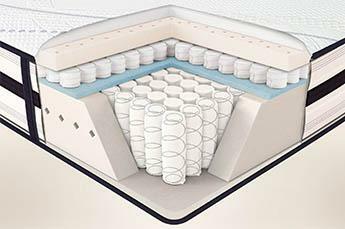 If you can’t decide on a mattress, many manufacturers offer “hybrid” options consisting of an innerspring system combined with foam. Always test out the mattress before buying – don’t buy from a catalog without lying down on it first. Ideally, you should spend 10-15 minutes (yes, really!) on a mattress – get a pillow, too – before deciding to purchase it. Financial experts advise to spend your money where you spend your time. Considering that the average person spends about a third of the day in bed, a good mattress is a good thing to spend on! That said, you don’t need to get a top-of-the-line mattress, especially if you can’t afford it, but it’s a good idea to carve out a decent chunk of the budget and try to buy higher-end than lower-end. You can also buy a less expensive mattress and splurge on a better topper or mattress pad for similar results to what you’d get with a higher-end mattress. Decide on your budget before you go to a store and stick to it – it’s tempting to go with the one that the salesperson is pushing on you for “just” a few hundred dollars more. Read through your warranty carefully to ensure that you’re using the mattress in a way that won’t invalidate the warranty; fine print can be deceiving. Now go out there; you know how to choose a mattress with confidence! Your body – and your mind – will thank you. You stated that when choosing a mattress, you should look for a mattress that has a higher coil count, as that will provide you with more support. My husband has been struggling to sleep and I think it’s because our bed doesn’t give him proper support. I’ll have to find a store that carries beds with great support, so that my husband can get the rest he needs to get through the day easily. Your site is so helpful, useful and informative. Thank you so much for saving us hundreds of dollars!! Wish there was some way to repay you for this information!! Can’t wait to share this website with our friends who are also looking to buy a new mattress. It is great to know this stuff before you even think about buying a mattress. You totally ROCK! !